Canadian Rewards: Mylo: Turn your spending habits into saving habits. Roundups make it easy to put money aside without changing your lifestyle. You simply link your chequing account (funding source) and your debit and/or credit cards (roundup sources) to your Mylo account, and Mylo automates the process for you. For example, If you spend $3.25 on a coffee using a linked credit or debit card, Mylo automatically rounds up your purchase to $4.00 and put 75 cents aside in your Mylo account. 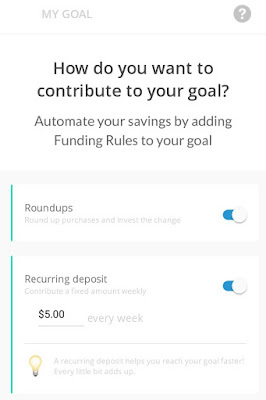 Every week on Monday, Mylo adds up all the roundups from the previous week, withdraw the total from your funding source (typically your chequing account) and invest it in your Mylo account. 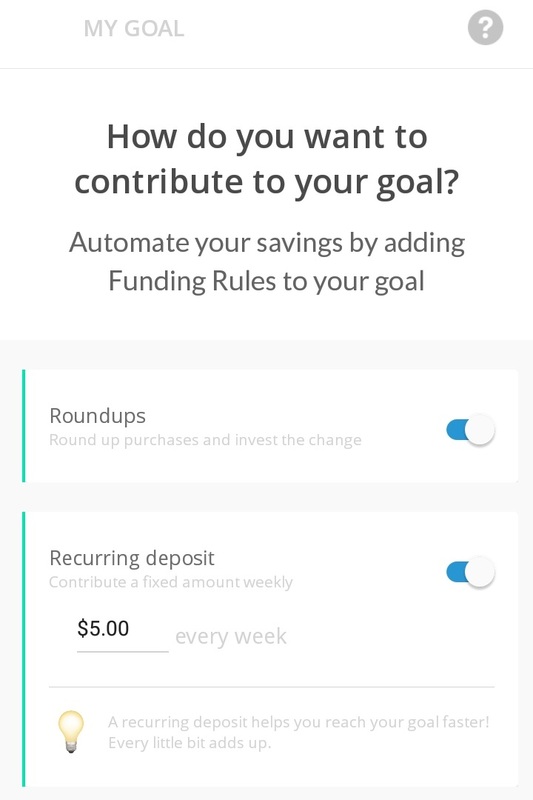 In addition to roundups, you can also choose to put recurring deposit in your Mylo account. Mylo uses the same security measures as major Canadian banks, such as 256-bit encryption, SSL connections and strict internal security policies based on ISO standards to ensure your information is never at risk. Actually, the way Mylo links bank account/credit card is very similar to Drop app we introduced before (https://www.canadianrewards.net/2016/10/drop-points-program-introduction.html). Every Mylo user is advised by a registered Canadian portfolio manager at Tactex Asset Management, a subsidiary of Mylo Financial Technologies Inc. Mylo will ask you some questions when you are signing up. Your answers provide the Know-Your-Client information that your portfolio manager needs to understand three main things: your financial situation, your risk profile and your financial goals. Using this information, your portfolio manager will recommend an investment portfolio that reflects your unique situation. As with most investments, it is possible for you to lose the principal investment and returns are not guaranteed. That’s why it’s important to be honest when answering questions during the sign-up process, so that your portfolio manager can create an investment portfolio for you that matches your lifestyle, risk profile and financial goals. Mylo costs $1 a month. No matter how much you invest. And there are no hidden fees. You can deposit or withdraw money at any time and at no additional cost. You can withdraw money from your Mylo account anytime through our mobile app. It may take between 2 to 8 business days for your money to be deposited back in your funding source. Mylo also has a referral program: if you sign up Mylo through a referral link of a friend, you each will earn $5 once you fund your Mylo account. If you want to register a new Mylo account, please use our website referral link: https://go.mylo.ai/jnuJAUmumO , 【I suggest you to click this referral link and register with Mylo using a computer/laptop, and then to download the smartphone Mylo app to use. If you register Mylo through the app directly, you may not be able to get the $5 bonus.】Thanks. After you registered with Mylo, you can get your own referral link and share it with your friends. 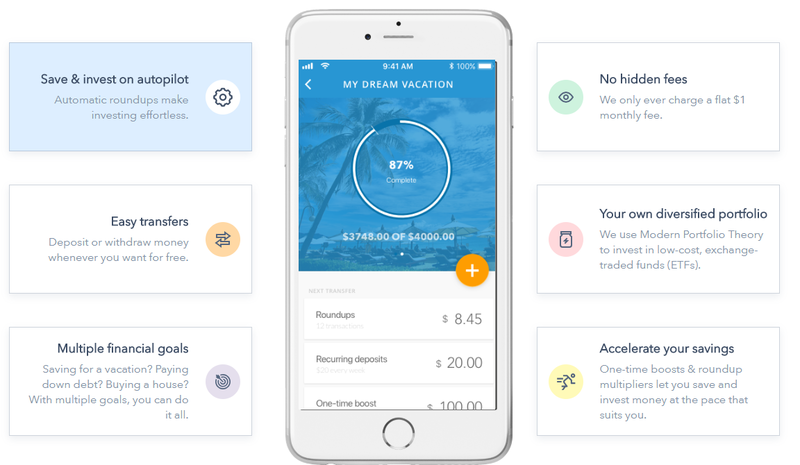 Updated on Feb 4, 2019: The Mylo $1,000 referral bonus is back! Invite friends to join—just look for “Invite Friends” on the Overview screen of the app. You earn $5 for every friend you refer and they earn $5 for opening a new Mylo account with your link. If you refer 10 friends, you get a $1,000 bonus, plus $5 for each referral (totally $1050). To qualify for the bonus, friends must sign up on or after February 4th, 2019 and before March 1st, 2019 and successfully fund their account by March 18, 2019. Referral credits and bonus will be paid out no later than April 2, 2019. If you don't have a Mylo account now, please use our referral link: https://go.mylo.ai/jnuJAUmumO , thanks. I suggest you to click this referral link and register with Mylo using a computer/laptop, and then to download the smartphone Mylo app to use. If you register Mylo through the app directly, you may not be able to get the $5 bonus. BTW, If anyone wants to leave his/her Mylo referral link below, please use the following format ONLY: "My Mylo referral link is: *******. Thanks." Other codes will be deleted. Thanks.